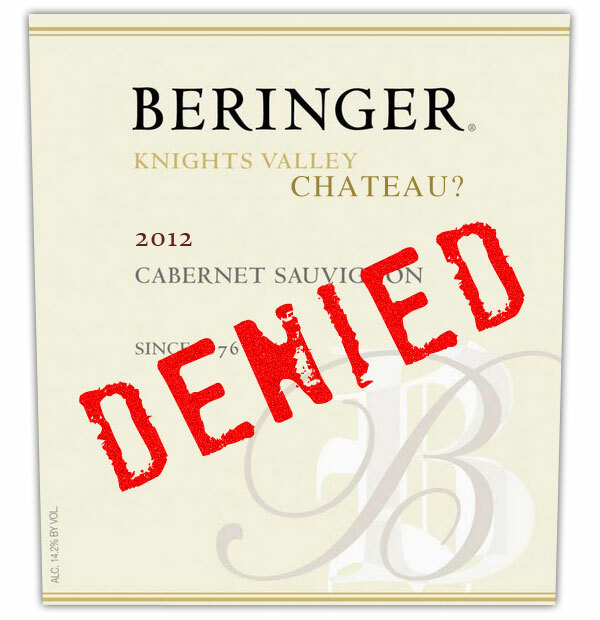 “Château” is a no go for American winemakers! At least, temporarily. The Bordeaux Wine Federation has obtained a respite from the possible deal to give American wine producers the right to use the venerated “château” label. The European Committee has decided to table this important decision, which France remains the only opposing country. French people remain extremely protective of their wines due to increasing competition on world markets. Since the 1976 “Judgment of Paris”, when California won a major blind taste test over French wines (aka the “tasting that changed the wine world”), wine relations and dealings have often had an edge. France pleaded “sacrilege” over the recent issue, and America will have to wait a little longer before their estate can become a “château”. This is yet another reason why patience is a virtue in the world of wine! Related story: Will American Wines Be Able to Use The “Château” Mention? Well now the end of the world is definitely near and Hillary will probably have to ‘take care of things’ and go hang out with Jacques to revisit the issue over Chateau Margeaux while Bill will stroll Boulevard de Clichy in Pigalle getting a taste of some other Margots. Hey, I am a guy who likes everything from the cheap to the expensive, from the dry to the sweet, from the oaky to the fruity, from the brut to the demi-sec. I like to drink a Napa Syrah so fruity reminiscent of a fruitroll to a silky barely charting Chateau Neuf and get excited about all of it. The great thing; all of it has its own character and identity. In business marketing we call it ‘branding’. So why in the heck would a Napa or Sonoma wine want to trade identity at any price and ‘de-brand’ itself? Because the bottle price could go up? Is that the reason? Or is someone trying to score some quick cash at one of the international naming committees by creating a sub-economy? I truly, truly do not believe anyone, but those who fabricated this ill-founded concept, really want to. Leave history alone, leave culture alone, both sides have enough of it. It does not need to be mixed or diluted, to get another sub-culture that does not contribute to the core values these cultures stand for. In this day and age, it is getting very hard to keep cultures pure and authentic. In a world of competitive greed and immoral standards, anything goes. Thanks for your comment, Dirk! Hihihihi très fin cet humour!! Là aussi je suis fan!! !